Oblique rail assemblies come in various shapes, sizes and configurations. Different jobs require different set-ups. Oblique can handle them all. Oblique manufactures single-face assemblies and double-face assemblies, rotary assemblies, cabinet assemblies along with custom assemblies. Kwik-Rail® rail assemblies are patented, exclusive products from Oblique Filing Systems. We have over 300 different designs available. Oblique can manufacture steel to fit any size uprights and shelving. Oblique has been retrofitting libraries since the early 1960’s. 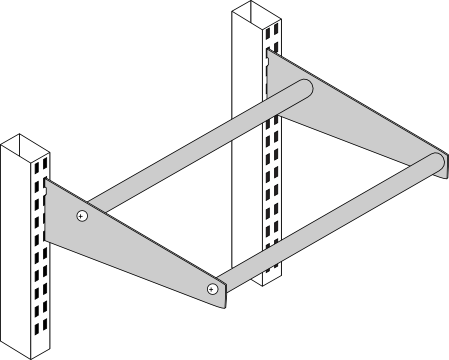 We stock rail assemblies for most major cantilever shelving types. 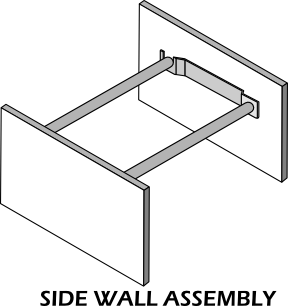 Standard cantilever rail assemblies are designed to fit welded cantilever frames and wall columns. If you do not know the make or manufacturer, simply send us the depth and width of the cantilever holes, and the center-to-center distance between them and we will supply the correct rail assembly for your installation. Oblique Cantilever assemblies can also be used to fit Oblique compartments on workstations, and open office panel systems from most major furniture manufacturers. Cantilever rail assemblies are available for letter, legal, and X3 compartments. Oblique cantilever assemblies are a great opton to ue for garment rails! 11 5/8” x 10 1/2"
11 5/8” x 11 1/2"
14 5/8” x 10 1/2"
14 5/8” x 11 1/2"
NOTE: All units are in number of compartments per row. Oblique rail assemblies can be manufactured to suit the customer’s precise needs. You can supply standard rails with four post, case style or cantilever shelving. Additionally, you can retrofit Oblique into any other manufacturer’s shelving or cabinetry your customer may have. This gives your customer a “uniform filing environment” despite the fact that they may have many different makes and models of shelving or cabinetry. 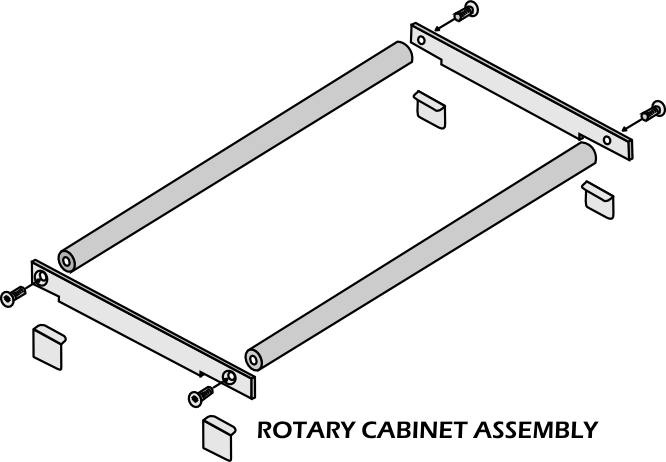 Rail assemblies are also available for other purposes such as magnetic tape racks, clothes hangers, golf club storage, etc. In our shop, we can design any type of specialized rail assembly to meet your needs. Adding internal pressboard pockets manufactured to any shape or size to hold materials such as data tapes, cassettes, video tapes, data disks, CD/DVD jewel cases, pre-addressed envelopes, etc. Altering compartment height (and depth) to precise dimensions for any size materials without wasting precious space. Adding accessories, such as vinyl pockets or fasteners, to the inside or outside of any compartment. Adding custom width box-bases to provide capacity which matches customer’s materials. Multiple Box-Bases can provide more storage in less space for forms, tickets, tri-folds, literature, etc. and large EZ-View ™ labels easily identify contents of each section.